Order now and receive free freight! Every stainless Tapcon® is in stock for immediate shipping. 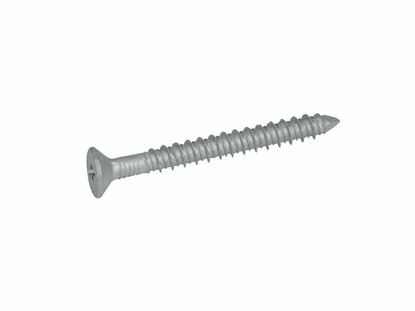 The 410 stainless steel Tapcon® masonry concrete anchors are the #1 American made and are most recognized brand stainless steel masonry concrete screw anchor available today. The ultimate in temperature resistance, corrosion, stain and rust, the 410 stainless steel Tapcon® is ideal for projects in harsh environmental conditions. 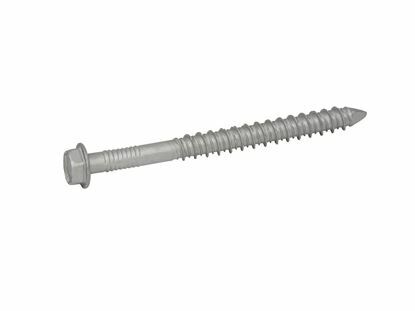 Choosing the Tapcon® stainless steel masonry concrete anchors ensures the highest quality, superior holding strength and ease of installation. The 410 stainless steel Tapcon® masonry concrete anchor installations include marine construction, railings screened porches, pool enclosures, coastal construction, water and utilities, sanitation and wastewater. Special threads are the difference. The patented Advance Technology Hi-Lo twin-thread design creates a mechanical linking by tapping threads into the masonry base material. The high threads cut the threads and are notched to allow masonry dust to be removed. 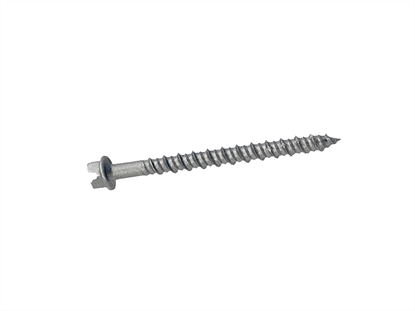 The low threads provide positive stability when the 410 stainless steel Tapcon® masonry concrete anchors is being installed in the base material. For extra rust resistance in moist or wet atmospheres, the 410 Stainless Steel Tapcon® is an excellent choice and is easy to use. The stainless steel finish provides a decorative, aesthetic look as well as a superior corrosion resistance in comparison to the standard blue Tapcon®. Silver Climaseal™ coating provides additional rust-resistant protection and helps to decrease installation torque. 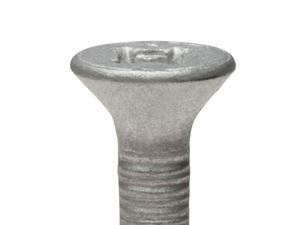 410 Stainless Steel Tapcons® have a thread length that measures a minimum of 1-3/4"
It is not available as full threaded or with thread lengths longer than 1-3/4"
Minimum embedment depth for the 410 Stainless Steel Tapcon® is 1" the maximum depth is 1-3/4"
Longer screws are designed for applications in which the material being fastened down is thick. 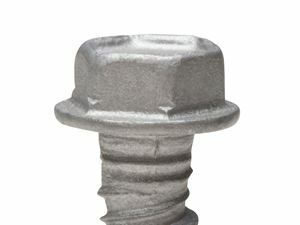 The 3-1/4" screw is designed to fasten an item between 1-1/2" to 2" in thickness to ensure that minimum embedment is met.